No. 70 Zhifu East Road, Zhifu Island, Yantai, Shandong, 264000, China. CIMC Raffles Yachts, powered by CIMC Group (China International Marine Containers Group Co., LTD.), a world-class integrated service provider, committed to yacht R&D, design, construction, marketing, management and service. It has been 17 years since the first 88m PROA catamaran “Asean Lady” has been conceived, along with other four projects ranging from 32m to 90m have been successfully delivered with “craftsmanship spirit” filled with passion, dedication and innovation. Our operating office and building facilities are located alongside charming harbor city of Yantai. In order to ensure the professional yacht business, we have invested to build exclusive yacht offices, storage facilities, climate controlled warehouses to ensure that the yacht precious materials can be placed in the best storage environment. At the same time, we are also committed to the yacht staff to create a comfortable and state of the art working environment. We strictly follow the international professional management institutions’ requirements and have passed ISO9001, ISO14001, OHSAS18001 system authentication. Research and Development ability is the core to yacht engineering; CIMC Raffles Yachts is equipped with the most advanced software and hardware, cooperating with world famous naval architects and designers with continuous learning, accumulation and innovation. We attach great importance to the safety in the design, production, operation, storage to ensure the safety of our personnel and property. Talents are the core competitive edge of the CIMC Raffles Yachts. We have an international yacht expert management team, which are from Switzerland, Germany, Italy, US, China and other countries. They have an average yachting experience of more than 15 years respectively in the fields of marketing, procurement, electrical, systems, painting, interior, coating, etc. We team up with world famous design companies, consulting companies, equipment suppliers, contractors to establish long-term cooperative relations to establish our exclusive yacht resources. CIMC Raffles Yachts is willing to provide diversified choices, such as hull construction, yacht coating services, refit and repair service as well as other high-end cruising vessels, mini cruise ships, etc. 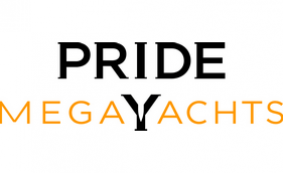 Pride Mega Yachts, launched in 2013,is the top-level brand under CIMC Raffles Yachts brand which is focusing on mega luxury yachts design, construction and marketing. Currently under this brand, we are building an 88.8m luxury yacht and have launched one 108.8m and one 115m concept projects.